In this post, I lay out the reasons why and provide you guidance on when you should buy a road disc bike, one equipped with disc rather than rim brakes. While the debates about road bikes equipped with disc brakes are far from over, I believe it’s now clear that these bikes will soon become the predominant type sold to road cycling enthusiasts. What’s left for each of us enthusiasts considering a new road bike are the decisions about when to get one and what road disc brake bike or combination of frame, components, and wheelset to get. I’ve reached this conclusion from following the back and forth about road disc products over the last couple of seasons with both interest and skepticism and weighing the merits and looking into the future from the perspective of a road cycling enthusiast. My conclusion did not come after one or more meetings or rides with persuasive company representatives (of which there have been a total of none). This shouldn’t be a shocker. Actually, your reaction may be more like “Uh, what long ride have you been on that kept you out of touch for so long?” Disc brake versions of popular road wheels have been made for cyclocross bikes for several years, disc brakes for road bikes were introduced in 2013, and the major bike companies had a road disc bike or two in their line-up last year and are adding many more this year. But now, the momentum is very strong and near the proverbial ‘tipping point’ from which I don’t think we’re going back. The technology development and product line change for the coming season along with the compelling performance benefits and improvements over rim brake bikes and progress to overcome remaining objections make clear that there is no turning back. In this post, I’ll describe the why, when and what of the new ‘road disc’ world – why a road bike designed for and equipped with disc brakes and wheels is better than one fitted out with rim brakes, and when you should feel comfortable buying a road disc bike. In other posts, I have offered you my evaluations of the design, product and performance characteristics of the category of road disc bike gear including bikes, groupsets, and wheelsets that lead me to specific product recommendations. If you are new to In The Know Cycling, welcome. I started this site for road cycling enthusiasts like you and me who want to know – but don’t have the time to do all the research, product and price comparisons to figure out – what gear you should get next and where you should get it. I bring a rider’s perspective; I’m not a member of the cycling media, don’t run ads on the site or go on bike company-paid new product introduction trips, have never been biased by working for a bike company or in a shop that only sells certain brands, and I buy or demo and return everything I test. If you like what you read, you can save yourself time and money and support the site at the same time by clicking on and buying your cycling gear through the red store links or anything at all through these links at eBay Cycling and Amazon. The red store links take you directly to the listings for the gear I’ve evaluated, at stores that have that gear in stock, at the best prices, and have excellent customer satisfaction ratings. I update these links regularly by looking at nearly 100 stores I track that sell gear online. Some of these stores pay a small commission to the site when you buy through the links but I pick the stores based on price, stock and customer satisfaction, same as when I’m shopping for gear myself. There’s more on all of this at the about and support pages. Let me first tell you why I think road disc bikes and components are the present and the future of road cycling. In short, I see three reasons – better braking, faster riding, and greater versatility. Better braking is perhaps the most tangible and immediate benefit of a road disc bike. With discs, you can brake with more consistency, control, and feel (or ‘modulation’) than with rim brakes on carbon or alloy rims. A road disc bike rides equally well on both dry and wet roads and without concern for brake fade or over-heating on carbon wheels. You may be thinking: “I already brake just fine with rim brakes.” Or, “I go fast and try not to brake very much so why does it matter.” I don’t doubt you brake fine, go fast and brake as little as possible. But, it’s actually those who know how to brake best, who ride the fastest, and cycle in the most demanding situations that know the limitations of rim brakes and are attracted to the benefits of disc brakes. Disc brakes will make you safer on the roads than rim brakes will but it’s not the only or even the primary reason I think we road cycling enthusiasts will switch to them the next time we buy a new bike. If you can brake more confidently, consistently, and reliability, you can ride more aggressively on a downhill, into corners, and closer in a group, all key to faster riding. Conventional wheels need to be designed to handle the loads of braking at the rim. They are strengthened and shaped at the rim’s brake track to optimize braking performance. Being free of these considerations, wheels designed for disc brakes hold out the potential for having lighter and more aerodynamic rims, leading to better acceleration and higher overall speeds. While most (though not all) road disc brake wheels currently are slightly heavier than rim brake ones after adding the weight of the rotors, stronger hubs and a few more spokes needed in the front wheel, the weight of the rims – where rotational mass is the most important – can be reduced and enable better acceleration. As an example, a 40mm deep, 19mm wide (internal width) carbon clincher rim designed specifically for use with disc brakes currently being tested by a company that sources wheels to large brands is 10% lighter as reported in this article from CyclingTips. The entire wheelset, together with hubs, 24 spokes in front and back, rotors and rim tape totals 1552 grams, certainly in range of rim brake carbon clinchers of similar depth and width. 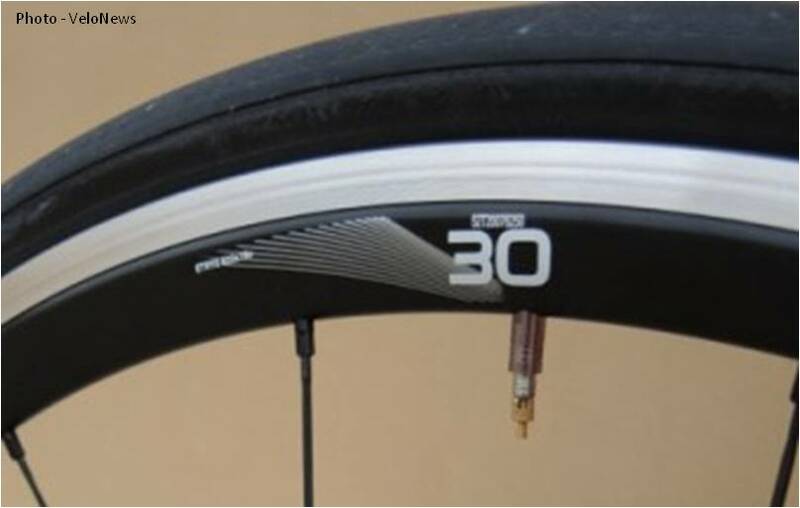 Rims designed for disc brakes can also maintain a rounded or toroid shape all the way through to their edges where they engage the tires, not having to stop short to allow for the parallel brake track found on most shallow and mid-depth wheelsets and many deep ones now. This will improve both acceleration and overall speed. Last, having a road disc bike adds greater versatility to what and when you ride. 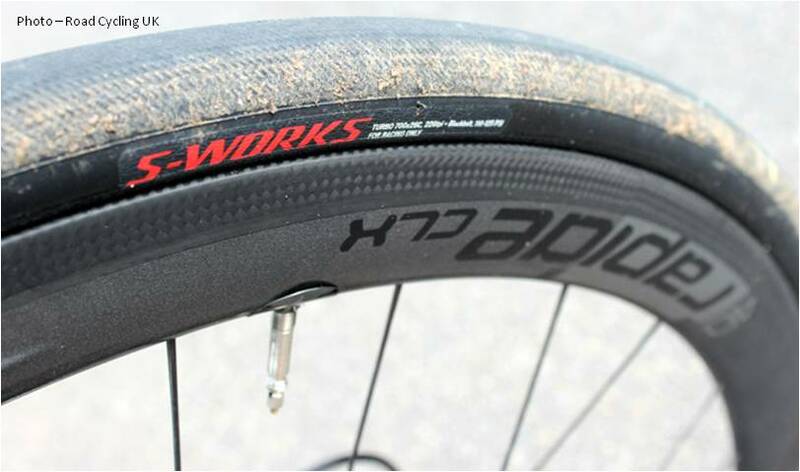 Beyond your typical dry, good pavement, rolling terrain rides, you can take one set of all-carbon, all-around disc brake wheels on wet roads, in the mountains, and on an off-road section or two without concerns. With rim brakes, you’ll really want a set of alloy or carbon-alloy clinchers in addition to your carbon wheels to cover all those situations. A road disc bike will allow you to ride more consistently during the season, earlier and later in the year, and without the need to buy or maintain an extra set or two of alloy wheels to cover the range of riding you might do. Be aware that you can only take the off-road versatility of road disc brakes so far. While some ‘alternative’ category disc bikes are being made for on-road and off-road cycling, most gravel grinder, and cyclocross bikes are built sturdier than road disc bikes, the latter designed to have more clearance between the bottom bracket and the ground to allow for the bumps, stumps and jumps you might come across during your adventure. The front forks, seat and chain stays on off-road bikes are also designed to allow for wheels and tires that are often far wider than you would want to run on the road and are therefore less aerodynamic. But, there’s nothing preventing you from using a road disc bike for an occasional ride combining some pavement and modest amounts of mud-free or dirt surface riding on paths that don’t have lots of potholes or require a lot of clearance. Change – UCI has not approved road disc bikes for racing, there’s a lack of standards on key components, it will take years for disc components to be designed or optimized for road use, discs ruin the bike’s aesthetics, etc. Some of these are correct (e.g. UCI has not fully approved road disc bikes for racing though they are allowing teams to test them in races starting after the 2015 Tour de France, brakes can be noisy but only during bedding in), others are either wrong (e.g. more service required), insignificant or indiscernible (e.g. aerodynamic and weight differences) or are little different from today (lack of common standards, years to optimize). I go into further detail on most of these and other questions and issues in the specific posts on road disc brakes, bikes and wheels linked to above and also at the bottom of this post. Weight is an oft mentioned concern working against disc bikes in some enthusiasts minds so let me try to address that one here. Together the brakes, wheels, and frames used on a road disc bike add about 450g, or roughly a pound over the same model of road bike frame equipped with rim brakes and wheels. Before you go all weight weenie on me against that extra pound for a disc bike, answer a couple of questions. Do you know to the gram or even pound how much your current bike or bikes weigh? How much more weight do you add with the tools, tubes, snacks, gels, water bottles you pack for a ride? How much weight did you add-on your body with the meal or drink you had the night before a big ride? Count me down as ignorant on all three of those questions. I know some of us obsess and are willing to pay large sums to avoid adding a half (227g) or quarter pound (about 113g) of weight in our components and wheelsets (guilty again), but adding an extra pound of weight for all the benefits that a road disc bike brings is, for me an easy trade-off to make. Unless you are a fit racer, a pound or two really doesn’t matter. And if you can ride faster in and out of the turns and down descents with the confidence of your disc brakes underneath you, would you be willing to add a pound of weight to your bike? You should be. Bottom line, if some combination of better braking, faster riding, and greater versatility is more important to you than a few extra grams or watts or trips to the shop or the governing body or industry finding common ground around technology and standards, then I think it’s less a question of whether and more a question of when. So let’s look next at when is the right time to get a road disc bike. When should you feel comfortable buying a new disc brake equipped road bike? With any relatively new product category like this one, there are always some product aspects that will change and improve more or less frequently and significantly. Other changes and improvements won’t matter beyond a certain level to certain riders. For example, I expect road disc wheels will change and improve a good amount each year over the next few years with more aerodynamic and lighter wheels, having been freed of the constraints of designing around a brake track and with more purpose-built road disc hubs. We’re really at the earliest stages of development for road disc wheels and while cyclocross disc versions of popular road rim wheels have been around for a while, that product segment has been too small to put dedicated design resources against to optimize the wheels. The speed at which new rim and wheel designs can be created, tested and brought to market, and the number of companies in the wheelset market that are able and willing to invest in the much larger road wheel market to get a leg up is great. Wider, more aerodynamic and lighter rims will make for quicker accelerating, faster overall, and better handling disc wheels. Conversely, I expect road disc brakes and shifters will change and improve less remarkably for the next few years. Why? There’s already been great progress and now at least two rounds of integrated shifter and hydraulic brake levers designed and introduced for road disc brakes by both Shimano and SRAM, the two largest road brake component manufacturers who together probably hold at least 75% of the road bike component market share. While the calipers and discs each company offers for road bikes are essentially the same or largely based on each company’s off-road ones, the weight or aerodynamic penalties are not so large as to cause all but the professional and high-level amateur racer to hold off at this point. So I think it’s unlikely we’ll see a significant change to what the companies are offering now until the 2017 model year after disc brake component designers get further direction from the body governing professional cycling racing. Update: To read my latest post on the best road disc endurance and racing bikes, how to choose the right one for you, and where to get them from the best stores, click here. There are a great number of road disc frames that have been introduced for the 2015 model year based on and carrying the same model name as the already popular and best-selling bikes and frames set up for rim brakes. Most of these are endurance bikes, like those shown in the top row here, but we have already seen some of the most popular race bikes designed for disc brakes too including those in the bottom row. The road disc bikes available this season offer many tangible performance benefits and improvements over what you can get buying another rim brake equipped bike. Waiting another year or two for further improvements in road disc bikes, wheels or components may be worth it for some and not for others. Cost is of course always a criterion, but for most road cycling enthusiasts it’s more often a tie breaker when choosing between two options within a budget range that you’ve established for the same level of comfort, overall performance or the other criteria I’ve listed. As you go up the list above, we enthusiasts tend to prioritize those criteria more and meeting a budget goal less. I’ve ordered and aligned the riding goals and purchase criteria listed above into three types of enthusiasts. Those whose primary objective is 1) racing and competing are likely to decide what to buy based on what the pros use, the aero characteristics and weight of a bike, components, and wheelset. Those targeting 2) endurance riding and events are more likely to buy on the basis of some combination of weight, overall performance and comfort, and those 3) focused on fitness are likely (or should be) deciding on one product over another for overall performance and comfort reasons. From my evaluation of the product available this season, there is a wide and competitive enough range of good road disc bikes, components and wheelsets on the market now to provide third type of enthusiast, the ones who ride to build and maintain fitness levels with the braking, speed and versatility benefits they’ll get from a road disc bike. Yes, there will be more and perhaps better or better-suited bikes, frames, disc brakes, hydraulic shifters and wheelsets coming in the future. But, the weight, performance and comfort gains will not likely be so much better on newer road disc equipment over what you can get now based on what I’ve seen to make you want to buy a rim bike now or hold off buying a road disc bike for more than another season. I say more about what is out there in the individual posts on road disc components, bikes and wheelsets I provided links to in this one. For the endurance and endurance event rider (the second type of enthusiast), it’s a good time to really be considering your disc bike and component options. If one suits you, go for it. If not, know that a good option for you will likely come within a season. The weight penalty going to disc is around 450g across the bike, components, and wheelset right now. To many people, that amount is insignificant relative to how much weight they could easily drop in other places on their bike (e.g. saddle bag) or person (e.g. waistline). A timely article as I’m looking to replace a bike in the next few months. Will you include Focus Cayo into the mix as well? According to Specialized, who recently wind tunnel tested road bike disc brakes, the small weight and aero penalty of discs will be more than offset with faster times on the descent. I have test ridden the Tarmac with discs, I won’t be buying another bike without hydraulic brakes. I look forward to your next articles. Thanks so much for this article. I am waiting for my Bianchi CV disc as we speak and I justified it based on the items you mentioned above – especially the better breaking. I rode Ride the Rockies last year and felt very uncomfortable on some of the downhills. I will be riding between Jasper and Banff this summer and hope to be able to be more agressive on the downhills. I am a rider that can’t compensate for the addional all weight of a disc bike by losing more weight, so I will take your advice and relook at my saddle bag to see what can be eliminated. Thanks again for this article, it has helped reinforce my decision and feel a bit better about the dollars. I would put myself squarely in your 2nd category. Especially in view of my personal goal to complete a Century or Gran Fondo in every state (that’s a different conversation). Like you I am convinced disc road bikes will soon dominate, for all the same reasons. I currently ride a Cervelo and love it so much I highly doubt I will purchase another brand. 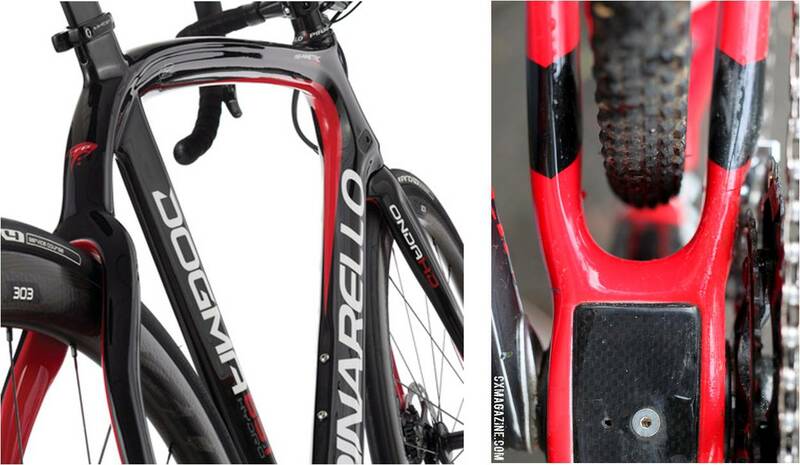 In fact I have my eyes set on a Cervelo Aero (probably R3) but am waiting, among other things, for a disc brake option. Are you aware of any move by Cervelo to begin offering disc brake models? Thanks Steve. Just after I posted that comment I found an interview with Phil White, albeit from 2 years ago, which indicated much as you said. Cervelo certainly did not seem inclined to move in that direction, at least then. Hopefully, with the increase in top name manufacturers providing viable top end and “enthusiast” level options, this will spread throughout the industry. I find it unfortunate that so many are so focused on “what the pro’s ride.” The vast majority of us who are actually spending money on products is so far from the pro level that you would think we would be more of a market force. I love your site. I can’t tell you how often I’ve been disappointed searching for product reviews only to find the “review” is posted on a site which sells that product. That only calls in to question the veracity for me. I will be a frequent visitor to your site. Excellent article. I would put myself into category 2, and after spending several weeks drooling over new bikes i’ve decided to wait a season to see what disc options come out in 2016 after having reached a similar conclusion to you – albeit a far less well researched one. I want this frame to last a long time, and would be annoyed if it was immediately out of date for the latest componentry. One question I had is in the mounting points for disc break calipers on the frames, and if these are likely to change depending upon the rotor size that becomes the accepted ‘standard’. I imagined that a larger or smaller rotor would require the caliper to be sited either further up or down the relevant frame tube or fork. This would put me off buying a disc break frame until a standard had been confirmed. Do you know anything about that? The 140mm rotor is being promoted by Shimano and using their CenterLock hub attachment standard. The 160mm rotor is promoted by SRAM and uses the 6-bolt standard, one more common on mountain bikes. Both will probably live on but it looks like the 140mm is going to be dominant. I don’t think that’s going to change or any other standard will come into play, at least for as many years out as people can see. It’s also a hub related standard more than a frame one. No, any caliper will work with any size rotor(disc). This is because the caliper mounts with different sized brackets(called “brake adapter” in parts speak) to the frame and fork. I’m currently in the market for a new bike and I’m strongly considering a Di2/RS785 setup. Will the announcement of Shimano’s new flat mount standard affect the RS785? I have have just returned from my third ride on an Enigma Titanium Evoke with Di2/RS785. There are many arguments for and against perhaps but one not mentioned is health. I am a seasoned Sportif, European Classics (all of them and full distance) plus 4 starts on Paris Brest Paris. Sadly age is catching up on me and my hands are now suffering from arthritis to the point were I have had to jump off the bike because I could not brake any more. I also had to cut one ride short after 8 miles, because my hands were hurting so much. Braking is the major problem but the wrist swinging and thumb pressing to change my mechanical Campag Chorus produced real discomfort after riding. The light braking offered by the RS785 is unbelievably good. Fabulous modulation and feel. I can brake from the hoods effortlessly and have tested them down Leith Hill a highlight of the London Cycle Sportif and part of the London Olympics route. I hoped the brakes would give me a few more years of riding, I am 68, but I think they are a game changer for anybody who has anything like my problem. Weight and aerodynamics are irrelevant hydraulic disc brakes are simply brilliant. I am sure that the Di2 contribute something too alleviating the cumulative affect that I was suffering from so badly but to be able to brake without pain is priceless. I have a road bike with Ultegra rim brakes and a mountain bike running slick tires with XT Deore disc brakes. There is no comparison in braking efficiency between the two. The disks brakes are brakes. The rim brakes are retarders. Steve, not sure if you have heard or not, but while watching the Tour the other day the Giant rep who was previewing their new bike confirmed that UCI has approved disc brake usage beginning 1 Jan 2016. My heart, legs and braking fingers are all aflutter. Can’t wait to see the deluge of new rides in the next couple of years. This is just my 2 cents and I realize I may be incorrect but if history is an indicator, I believe my reasoning is just. Simply enjoy the bike you have now, save that green, and when the time is right pounce on that disc bike. Who knows, your favorite road bike may have a disc version in a year (or a few). The best solution has already been achieved by SRAM who now offer hydraulics for rim brake calipers. The hydraulics are what dictate the improved modulation, not the disc brake itself. Combining the rim brakes with hydraulics gives you the best of both worlds, best modulation and best stopping power because the disc is larger (the rim). About the only situation i could think where a disc brake would give you better braking than the hydraulic/rim brake caliper set up described above would be if you were running carbon rims which typically are not that great when used as the brake surface. On alloy rims, an rim brake with hydraulics will ALWAYS brake better than a hydraulic disc set up because the disc is much larger thus given you much more leverage, it’s basic physics. i think you’re right longjohn – IMHO – I was thinking about dropping some coin on the Storck Aernario disc (incidentally Steve what are your thoughts on this as an ‘endurance’ bike? looks like an aero offering but talks about a lot more comfort not having to build in brake bridge etc) but decided to hold off. For one there still seems to be a debate about the rear 135 seems to be consensus at the moment so i guess not a deal breaker nor is the rotor size i don’t think. but with things like getting the best carbon wheels it doesn’t look to me like the big wheel players have brought all their top wheels out yet specifically for discs. All my bikes are campag as well and i guess i’d be curious to see what they come up with rather then rock the boat ha! I’ve hit 45mph downhill on my GT Grade Ultegra disc, and that’s not even a proper skinny bez roadie bike. Discs on a road bike are a no brainer, i know i will stop when required. Hi Steve, My wife and I are looking to upgrade to new endurance disc road bikes. With our past history of poor service and component issues on our current bikes, we want to custom build our next ones. Your information on this site has been very welcomed in doing so, but still up in the air on frames. Can you, or your supporters, shed some light on the FEZZARI bike frames? I cannot find much negative on them, and their concept and pricing is attractive. Thanks for the quick reply. They do have a refined fit calculator, that only one other on-line company has that I have found, so we get the right geomtry and size. What i have found so far on experience is fairly rescent ( within 5 years or so) but need to do more investigation. They seem to have a pretty good engineering department and have put some tought into what they build. Will be keeping a eye on anything new you have and your posts. Great article thanks for the information. I’m looking at new bikes and I love the Kona Roadhouse which has the rs505 hydraulics but I haven’t seen any reviews on them yet since they are pretty new. Do you think they will be good? I love the look of the flat mount wired through the fork it’s very clean. One of my worries is noise. As long as they don’t squeal I’d be happy. Like I said, no reviews to confirm. Great article and I think you’ve just helped me make up my mind to go disc! I’m looking to replace my (sadly stolen) Kinesis Gran Fondo V2_Ti bike. I’ve been using this on Winter / bad weather duties as it can shake off anything the UK roads can throw at it. However, Kinesis now have an updated disc version with provision for Di2/internal cabling and also integrated shimano flat mount disc calipers (BS805). Being Ti it’s not cheap but (thieves permitting) this will be a keeper, so based on your recomendations I’m looking to go full Di2 along with the ST-R785 shifters. Need to just order it up now…it’s too long a wait to get my summer bike out and not sure I can spend the next four months on the turbo trainer! I live in Florida and to be honest disc brakes wouldn’t make a lot of sense here, Florida is pretty flat and dry most of the time. It would rain for 5minute and the son would come back out thats why its called the sunshine state, I just purchase 2016 CAAD12 rim brake version. and sometime in the future i am planing on riding from Florida to calorado on my CAAD12, my plan is to how ever invest in a CAAD12 Disc fork for this trip to tackle the descends on these mountains. So my setup would be disc brake on the front and rim brake on the back. But other than my plans for this trip, Disc brakes on road bikes here in Florida is just not going to be a better performance than rim brakes. In other places like Colorado etc, it would makes lots of sense to have a road bike with Disc brakes though. 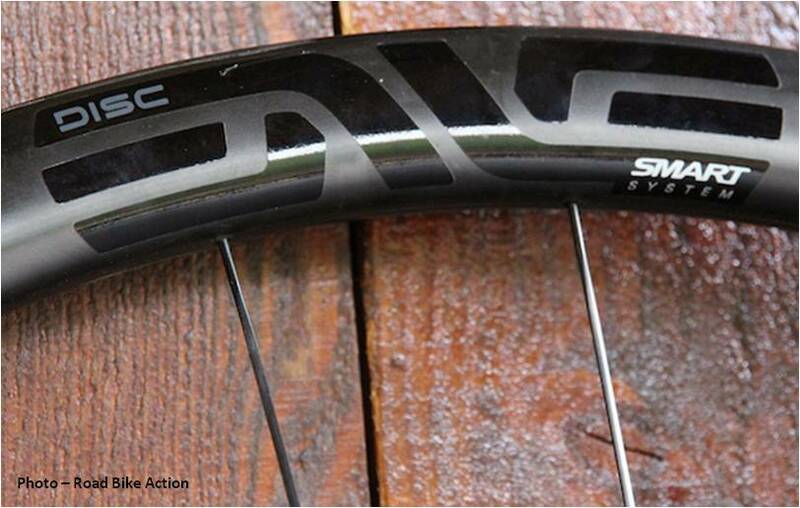 When will the Giant Defy be made with Flat mount disc brakes and through axles? Hi Steve, Why do you think “In the meantime, road cycling enthusiasts who are amateur racers (type 1) will not be allowed to use road disc bikes in competition.” I would have thought that the rules for amateur racing would change at the same time. We race under UCI rules now. Any plans to update this type of review? Things have changed a lot in the last two years. Great site, btw. Hello Steve ! As you forecasted 4 years ago, disk wheels have been so much improved and disk are now legal for racing… waiting for your updated article ! 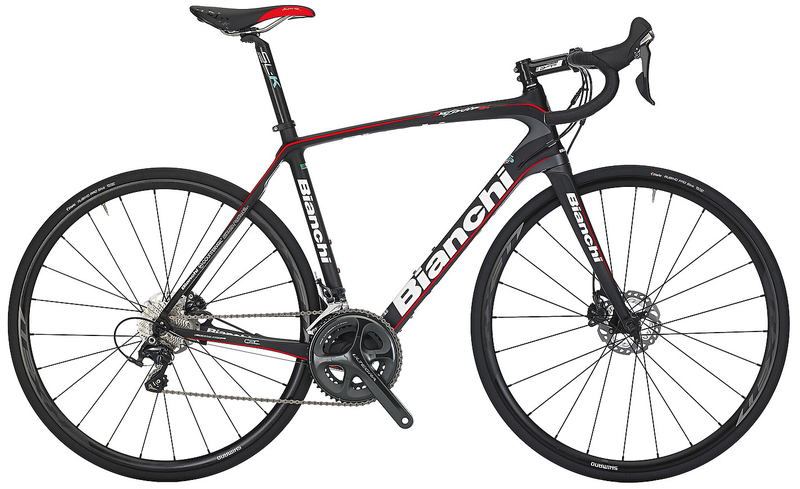 I am considering a disk bike for the 2019 crit season, what do you think about it ? Are they of any help on dry roads ?